Volume 3, Edition 10	 Trouble loading? View this email online. 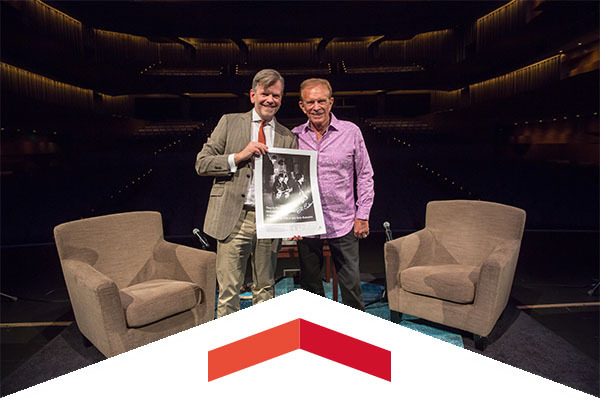 Before he became one of the iconic game show hosts in TV history, Bob Eubanks attended CSUN and later was a successful rock concert promoter. One of his biggest and most memorable shows was the Beatles’ 1966 performance at Dodger Stadium, which he remembered in an interview with KCSN’s Les Perry on his weekly show dedicated to the Beatles. That legendary performance was reenacted by the Fab Faux in a high-energy, sold-out set at VPAC on Oct. 17. 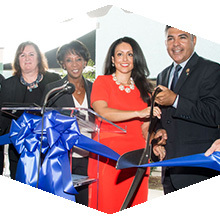 Rep. Tony Cardenas joined his fellow elected officials, including CSUN alumna and L.A. City Councilwoman Nury Martinez and CSUN leaders to celebrate the grand opening of the Family Justice Center, the first of its kind in Los Angeles County. CSUN administrators and student advisers this fall are harnessing technology to shine a light on student academic performance data with the goal of accelerating students’ progress toward graduation. 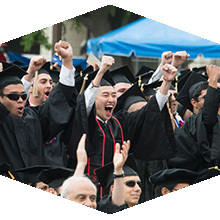 CSUN is using software to synthesize information on students’ grades, courses completed (or dropped) and progress toward graduation, utilizing the data throughout the university’s student advising centers. Sun, Oct. 22, 7 p.m.
Before the Matadors kick off their home game against Long Beach State, take part in the Red Rally and win free prizes and food and participate in fun giveaways. Wed., Oct. 28, 8 p.m. The L.A. Theatre Works performance is immediate, spontaneous, and features a first-rate cast and live sound effects. Wed, Dec. 2 at 7:30 p.m.
Come to Staples Center and join fellow Matadors at CSUN Night as the Clippers take on the Pacers. Special pricing includes an exclusive CSUN/Clippers T-shirt. Insert promo code: CSUN. More than 30 people will be honored for their service to CSUN and the community at the annual Volunteer Service Awards on Friday, Oct. 23. CSUN has received a donation of four pieces of art by influential artist Joseph Hirsch from alumnus David Frank ’72 (History). The pieces include three prints and one original charcoal work, and they will be available as part of the University Foundation Art Collection. CSUN Basketball fans got their first look at the men's and women's teams at the annual Matador Madness. The evening got a high-energy boost from a rally outside The Matadome before coaches Reggie Theus and Jason Flowers revved up the crowd to look ahead to the 2015-16 campaign.